Still was recorded in St. Louis’ Sawhorse studios – (recently voted best STL studio by the Riverfront Times). Working with talented engineer Jason MacEntire, band members Scott, Gennaro, and Schilling approached this record with a solid plan and open minds. Experimenting with sounds such as a dropped anvil, stomping on plywood, and recording multi-layer handclaps, the band took their indie-folk sound to a very unique place. 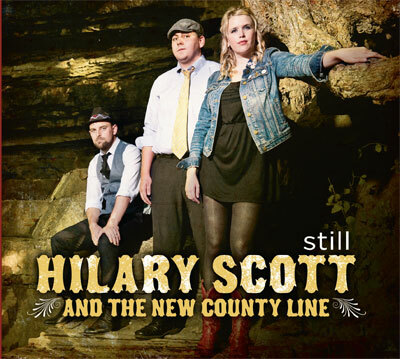 Songs on the album range from anthemic, driving, punch-in-the-gut emotional roller-coasters laden with Hammond organ, to bouncy, unexpected three-minute tantalizers that leave you wanting to press “repeat.” Hilary Scott, songwriter and lead vocalist for the band, had the opportunity to play on the same piano on which Ike and Tina recorded their first hit – one of the many cool facets of the process that went into creating Still.